Learn C++ Object-Oriented Programming, Classes, Objects, Inheritance, Polymorphism, Methods, Control Structures. In this course you will learn how to become a C++ Object-Oriented programmer by learning to do programming hands-on. This course is easy to understand and will take you from not knowing any C++ Object-Oriented Programming to becoming proficient in the C++ language. The terminology is simply to understand and taught in easy to understand plain English. 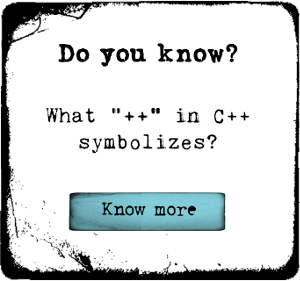 You will walk through c++ source code, compile and run the examples to get a full understanding of the topics. This course is expected to take about a week (40 hours) to complete if you go through the entire examples. The lectures are structures in a step-by-step fashion to make the concept easily understandable with solid examples. You should take this course to help you learn one of the hottest programming languages in use today in industry.